For Cartier, one of the themes of the year 2017 is the mystery clock, a concept that they have now transferred to watches. The Rotonde De Cartier Skeleton Mysterious Hour Watch sets the hour and minute hands floating in space; the Rotonde de Cartier Minute Repeater Mysterious Double Tourbillon instead showcases the tourbillon which rotates in a circular well, with no apparent connection to the rest of the movement. 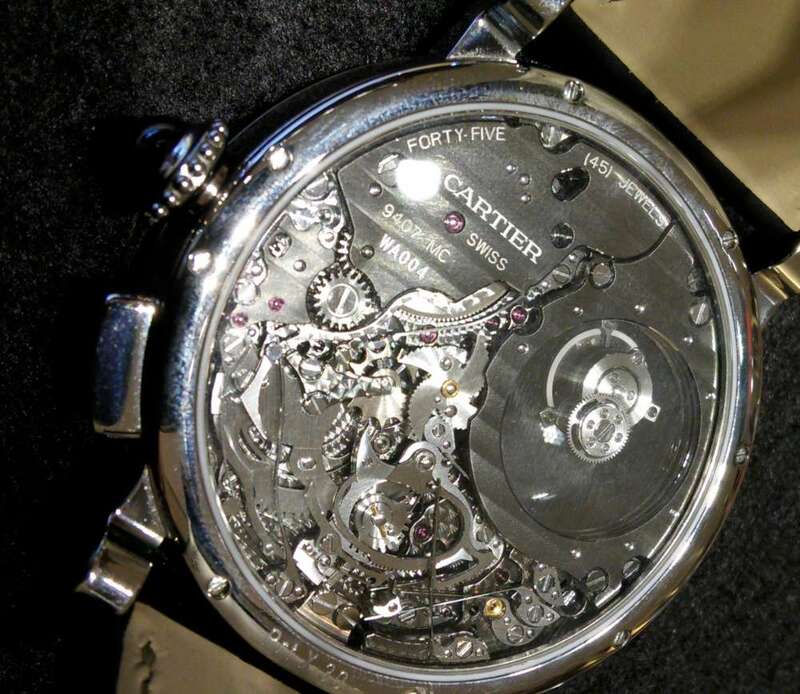 Another work of art by Carole Forestier-Kasapi, Head of Fine Watchmaking at Cartier, and her team. The movement is on display both front and back, and at the bottom of the watch the two hammers are in full view. In a case 45 mm in diameter and just 11.15 mm thick, Cartier have combined the mysterious tourbillon with another complication, the minute repeater, in a calibre that has 45 jewels and 448 components. In their fine watchmaking, Cartier show a constant brilliance in giving any movement a tough, wicked aesthetic dimension, created by the use of dark colours – black rhodium plating – and differentiated metal finish. I can never help thinking about the panther, one of the symbols of the maison, and its black, fearsome, feline beauty. It’s interesting how different watchmaking companies develop different visual canons: just think of the contrast between Van Cleef & Arpels, all fairies and flowers and bright colours bathed in the light of day, and Cartier, with its dark, black mechanical magic. The flying tourbillon completes a rotation in 60 seconds, on a sapphire disc that itself rotates once every five minutes. 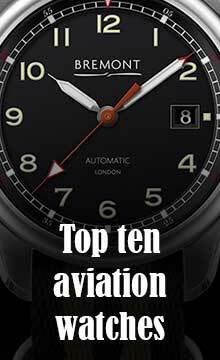 The regulator runs at 21,600 vibrations per hour, 3 Hertz, and the mainspring, visible at 2 o’clock, provides an exceptional power reserve, 3 and a half days, about 84 hours. Just inside the bezel, you can see the circular gongs running around the movement, with the hammers at 6 o’clock. 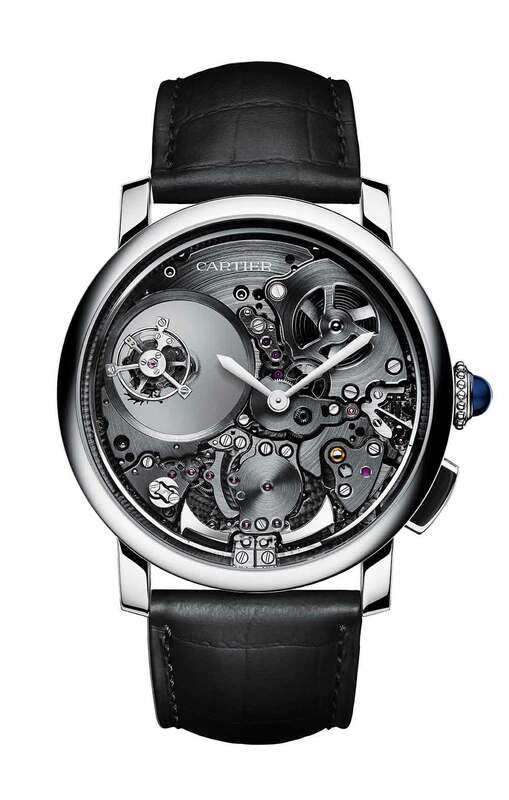 Cartier have optimized sound quality of the minute repeater – activated using the pusher at 4 o’clock – by means of several design features. Sound volume is maximized by keeping weight low, by means of a titanium case with hollowed walls. 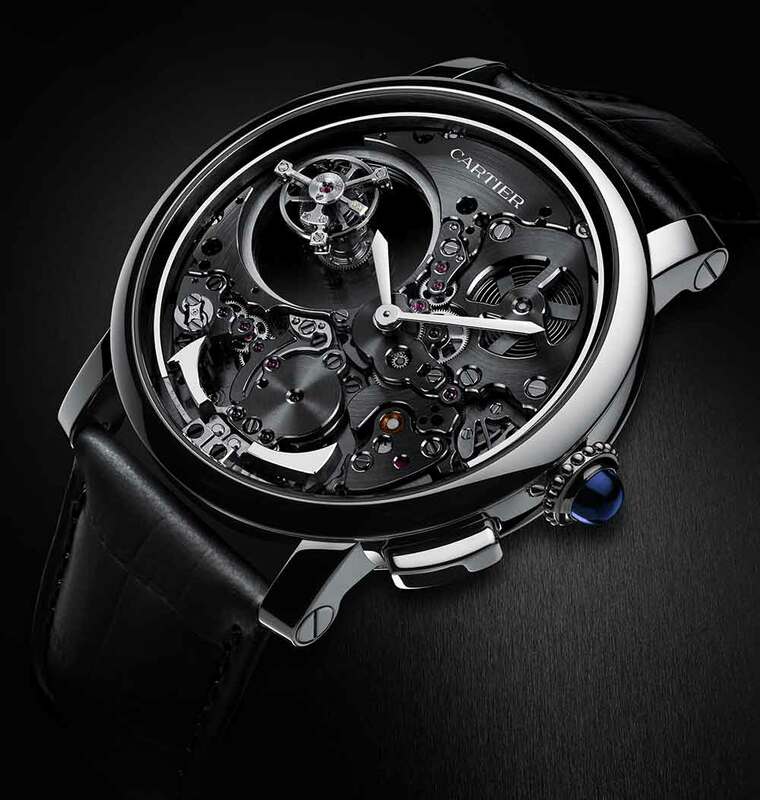 The movement, calibre 9407 MC, is attached to the case at four points, and the gongs are also directly connected to the case at two points, optimizing the transmission of vibrations from gongs to the watch case and glass. The inertia flywheel, visible at 7 o’clock, regulates the speed of the chimes, and has been engineered so that it produces no whirring noise to disturb the sound. The gongs are in square-section hardened steel, so the hammers strike a flat surface, improving sound quality by means of harmonics. The Rotonde de Cartier Minute Repeater Mysterious Double Tourbillon is certified with the Geneva Seal, “Poinçon de Genève,” which attests to the quality of design and the traditional crafts skills used to hand-finish and assemble the components. The fascination of the movement is framed by the circular case, which has a “Gomma” alligator strap that combines the visual interest of alligator with the softness of rubber against the skin. It has a folding buckle in white gold. The crown has the classic Rotonde de Cartier look, with beading around the base and a sapphire cabochon. The Rotonde de Cartier Minute Repeater Mysterious Double Tourbillon is reference HP101102, a limited edition of 50 pieces, price €525,000 excluding VAT, €645,000 inclusive of tax (depends on market). Another version set with baguette diamonds, HP101103, is available at €640,000 exclusive of tax. Read more about Cartier at their website.